"A couple months ago my husband saw a photo of Constellations by Lizzy House on my Instagram feed and requested a quilt made with the collection. 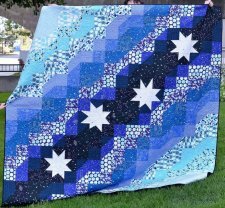 If you have been reading my blog for a while you might remember that I already made my husband a quilt, but he rarely uses it because he thinks that it's too small. 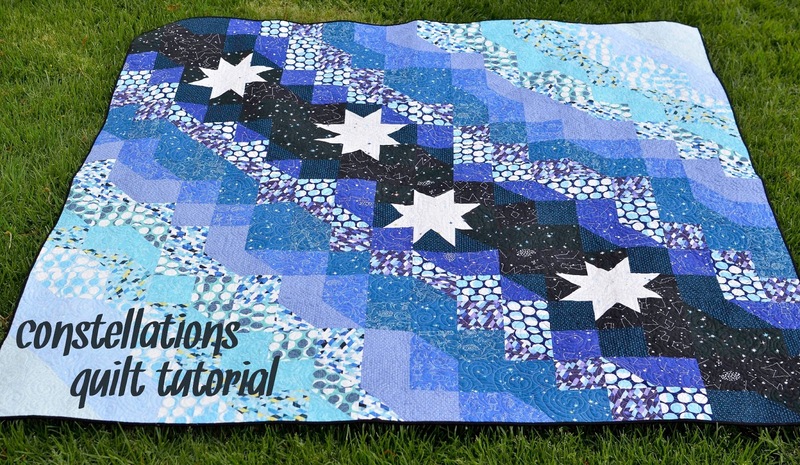 "Since I was making this quilt for my husband who wanted a large quilt, this tutorial makes a quilt that is 81" x 81". I used a half yard bundle of Constellations fabric by Lizzy House. It is getting pretty impossible to find in its entirety, but you could use other prints and I think that solids would look really great."